The journey is your reward! Osprey pride themselves on their attention to detail, and this is apparent throughout the Ariel AG 65 for women. It's designed with longer trips in mind and is fully equipped with handy features to help you plan, and organise the haulage of your gear. The Anti-Gravity (AG) back system hugs the natural contours of the body using suspended mesh lumbar and back panels that are highly breathable, but also keeps the Ariel closely lashed to your back. The hip belt naturally hugs the hips; a sternum strap with whistle keeps the pack close to your chest, while the shoulder straps can be cinched for further comfort stability. 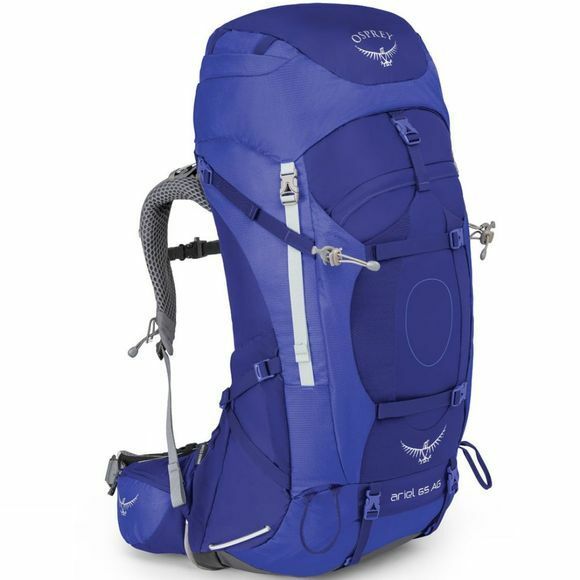 The pack is fully adjustable and women's specific to keep the load stable on the go. A top lid and zipped bottomed main compartment provides plenty of space for your belongings, and a large front J-Zipped front panel with a stretch front pocket is perfect for stuffing a waterproof. Further segregation can be found with InsideOut stretch mesh side pockets, zipped dual lid pocket, two zipped hip belt pockets, and external hydration access. 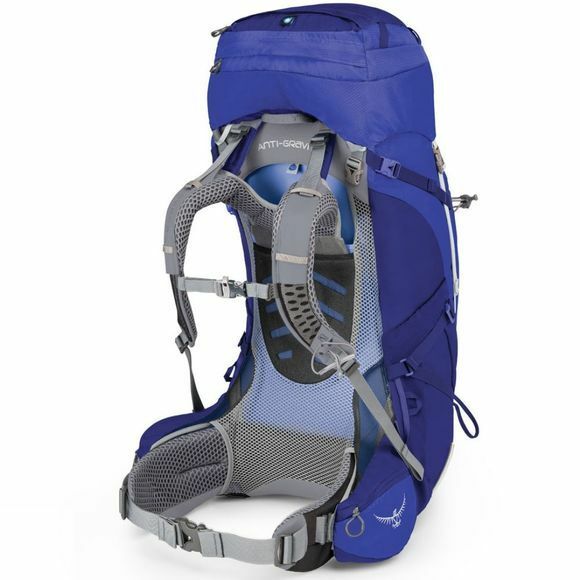 The pack has StraightJacket compression which can be used via upper, mid and lower straps, as well as the InsideOut system at the side panels. Another handy feature is the FlapJacket top cover which can replace the detachable lid once removed, simply pull over the toggle-cord closure and clip into place. An integrated and detachable raincover is stashed in the lid of the pack for ultimate waterproof protection, along with an internal key attachment clip. There is a sleeping bag base compartment with inner divider, and removable sleeping pad straps sit towards the base of the pack, ideal if you are on a multi-day expedition. Further hiking specifications include the Stow-on-the-Go trekking pole attachment, which allows you to tuck away your pole so your hands are free to map read, while twin ice axe loops sit towards the base of the pack.